As the expression goes,"You can't be what you can't see." When it comes to getting girls into coding, this means they need more role models in tech. 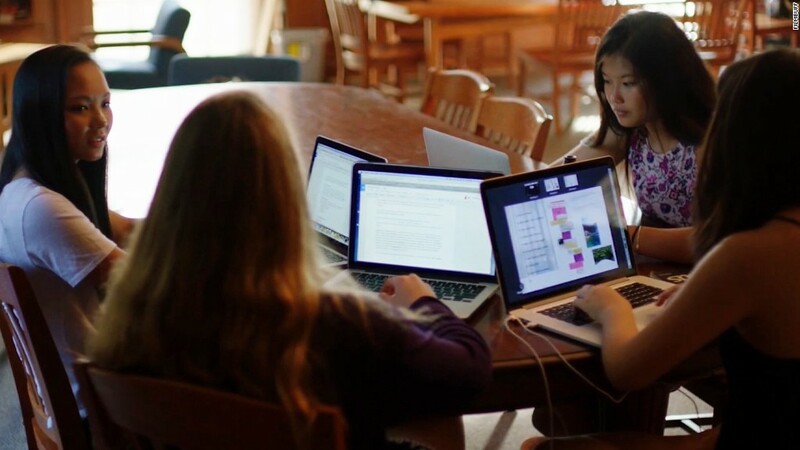 A new documentary called CODEGIRL is doing just that. From Academy Award-winning producer Lesley Chilcott, the film aims to rewrite the narrative that coding is a man's job. It follows the journey of a global mobile app competition for high school girls called Technovation. It's a real contest -- put on by a nonprofit called Iridescent -- that has had over 5,000 girls in 30 countries participate since 2010. The three-month contest tasks girls with solving real-world issues in their communities. Girls (who range in age from 10 to 18) team up in groups of three to five. They're paired with a local tech mentor to fulfill Technovation's curriculum, which includes creating a business plan, learning to code, and developing a mobile app. The problems they solve are, of course, relative to what they know. The issues they tackle in the film range from drunk driving in Massachusetts to improper waste disposal in Nigeria to violence against women in Mexico. The winning team receives $10,000 to bring their app to market. "This contest was a way for me to show just how empowered girls become when they are exposed to code and they start to think like entrepreneurs," wrote Chilcott in a statement. Chilcott -- who also produced An Inconvenient Truth -- said she found out about the contest in 2013 and knew it would be the subject of her next film. "It truly frightens me that 51% of the population is often left out of the design, and decision-making, process," added Chilcott. "This will have long-term consequences if it doesn't change." The stats she's referring to are alarming: Roughly 1% of girls study computer science -- and just 20% of software developers are women. "I think part of being a female programmer is that you feel really lonely," said one girl in the film. The Technovation teams challenge this norm. "It's really difficult to want to be what you can't see because everywhere you look you don't see a lot of girls," the girl added. The film opened in select theaters on Sunday but thanks to a partnership with Google's Made With Code initiative, you can view it for free on YouTube through Thursday.